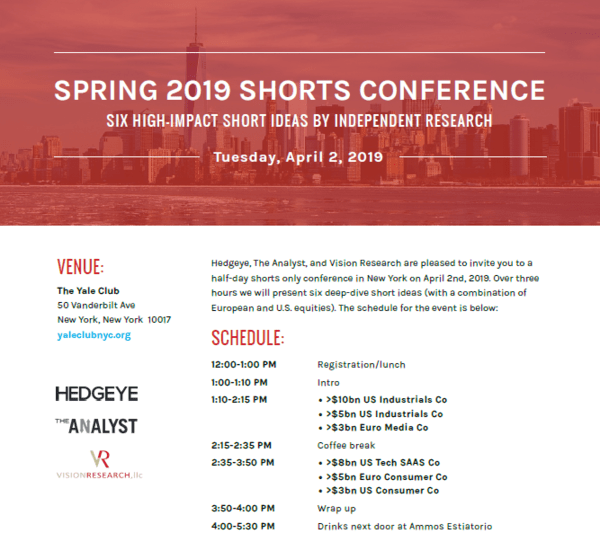 As a long-time advocate of shorting, Hedgeye is excited to be hosting a short conference next week on April 2 at the Yale Club in NYC exclusively for institutional investors. We are partnering with two other independent research firms, The Analyst and Vision Research, and will pitch six ideas over the course of an afternoon. 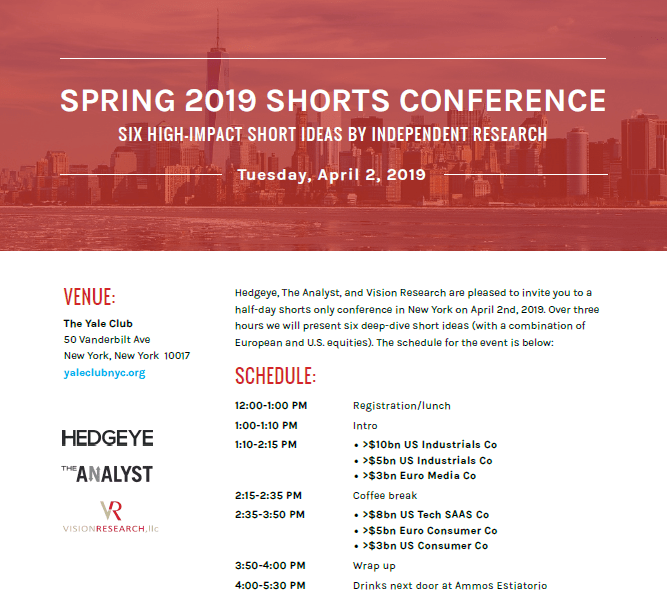 If you are an institutional investor interested in attending this short conference event please email sales@hedgeye.com to register.